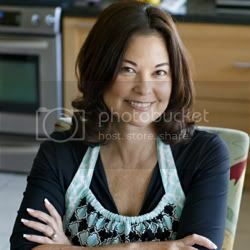 This is a recipe from our food blogging friend Priscilla Willis at Shescookin.com ..She uses our new award winning Kaffir Lime vinegar. Give it a try! I used mini sweet peppers in today’s recipe for Quinoa Edamame Pepper Salad dressed with a simple avocado oil and Kaffir Lime vinaigrette complemented by crisp, slightly bitter watercress. As delicious as it is nutritious, this colorful veggie-packed quinoa salad is a perfect choice for a quick weekday meal, Meatless Monday dinner, or to pack for a fun day at the beach or summer picnic – especially since there is no mayo or dairy products involved. This colorful veggie-packed quinoa salad is a perfect choice for a quick lunch, weekday dinner, or to pack for a fun day at the beach or summer picnic - especially since it's mayonnaise and dairy-free. While the quinoa is cooking, microwave or boil water to cook the edamame (unless you bought precooked). Chop the peppers, onions, and dried cherries. Wash the watercress and wrap in paper towels.Toast the pepitas in a small saucepan over medium-low heat for 2-3 minutes. Prepare the dressing by whisking the avocado oil, vinegar and spices together. Combine all the ingredients in a glass or wooden salad bowl. 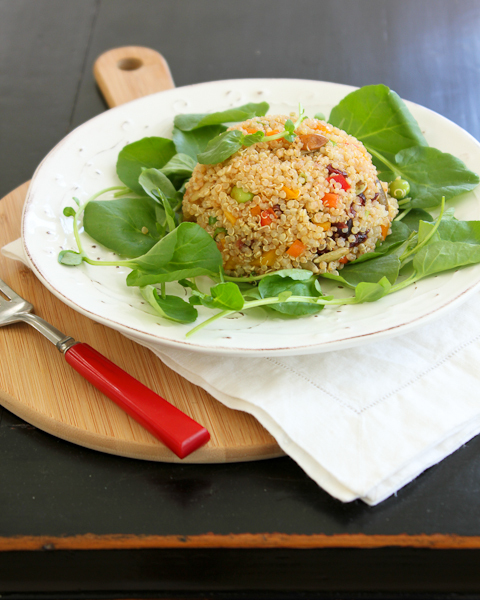 Serve quinoa salad on a bed of watercress. * 1 cup quinoa, rinsed, with 1-1/2 cup water, bring to a boil, cover and simmer for 20 minutes. I don't know why but I've seen too many directions that call for more water and you end up with soggy and/or overcooked quinoa if you cook until all the water is absorbed. * One of my go-to spice mixtures from Savory Spice Shop. Chaparral Gardens featured on HGTV's new series "Mexico Life"